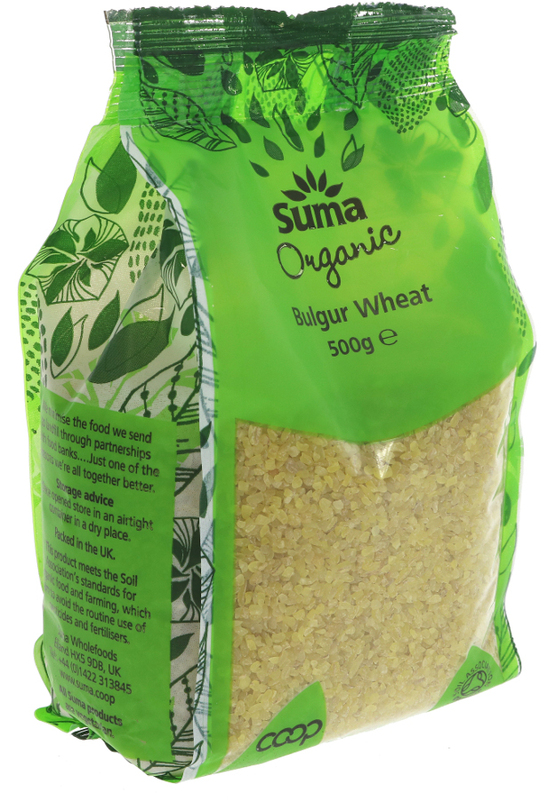 500 grams organic, vegan friendly Suma Prepacks Bulgur wheat. The Suma Prepacks Organic Bulgur Wheat - 500g product ethics are indicated below. To learn more about these product ethics and to see related products, follow the links below. This bulgur is really nice but comes in 500g bags only, wished there were big packs of it as well. Love but wish we could buy bigger bags to say on transport and packaging. Healthy and delicious. Cooks perfectly. 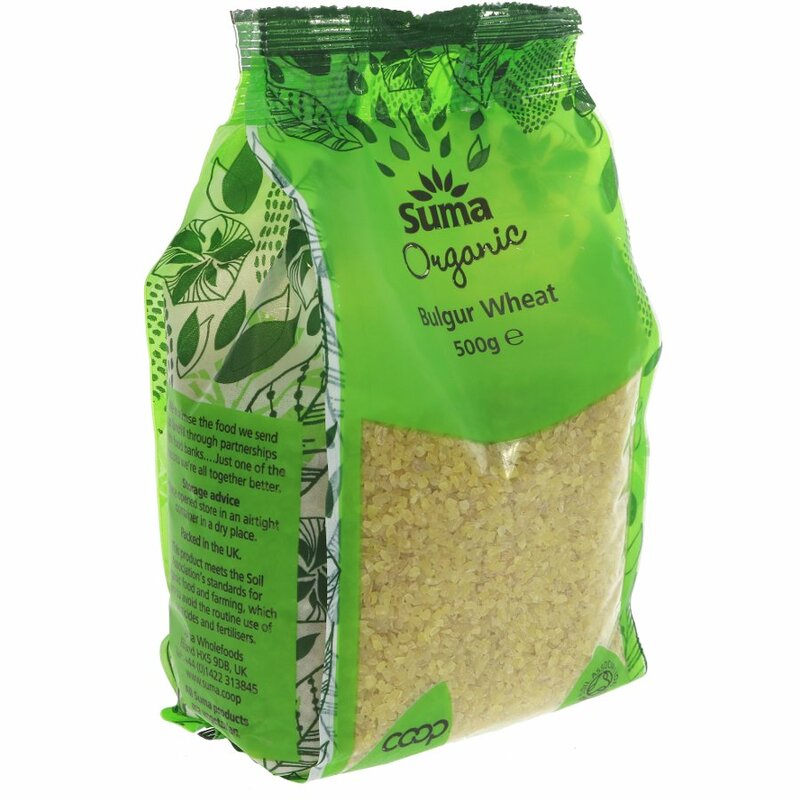 There are currently no questions to display about Suma Prepacks Organic Bulgur Wheat - 500g.